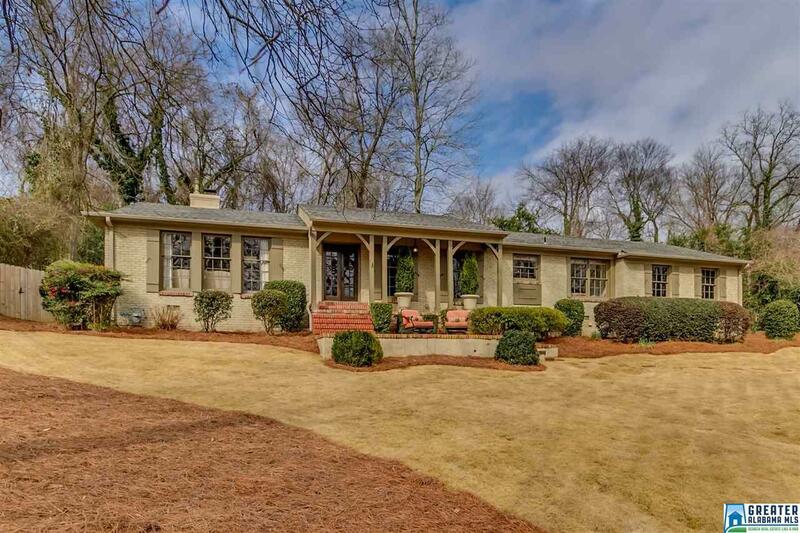 Beautifully remodeled ranch home in the heart of Vestavia! You'll love this house as soon as you see it; it's as pretty inside as it is outside! It has beautiful curb appeal, attractive landscaping, and plenty of front and back patio space to enjoy the large yard. French doors lead into the airy foyer, living room, and dining room. The light-filled den opens into the renovated kitchen with marble island and counters and new stainless appliances. The master suite is separate from the other two spacious bedrooms and connects to a huge walk-in closet with laundry area and built-in shelving. The master bathroom is also newly renovated with marble floors, tile, and vanity. Quite simply, the owners planned and executed a gorgeous remodeling job â their great taste is evident in the open flow, new fixtures and lighting, neutral paint colors, refinished hardwood flooring, new finishes and more. All that's left to do at this wonderful home is move in! Come see it today! Driving Directions: Rocky Ridge. Right On Shades Crest. Right On Smyer Road. House Will Be On The Left.